Stephanie McMahon is an American professional wrestler who was born on September 24, 1976. 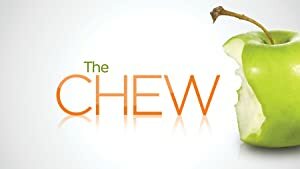 Stephanie McMahon's recent TV credits include Sunday Morning and The Chew. Stephanie McMahon's recent filmography includes the movies WWE: Best of Raw & Smackdown 2015 Vol. 1 (2016) and WWE: Best of Raw & Smackdown 2015 Vol. 2 (2016). Stephanie McMahon's Instagram account (@stephaniemcmahon) has a sizable fanbase with around 1.9 million followers. Stephanie McMahon's recent posts to Instagram have gotten around 56,000 likes each. As of 2018, Stephanie McMahon has appeared on about 2 TV shows. Some of the most recent Stephanie McMahon TV appearances include Sunday Morning, The Chew, and WWE Monday Night Raw. Stephanie McMahon appeared on Sunday Morning in 2016. Also in 2016, Stephanie McMahon was a guest on The Chew and Stephanie McMahon appeared on WWE Monday Night Raw again in 2016. As of 2018, Stephanie McMahon has appeared in about 4 movies. Some of the most recent Stephanie McMahon movies include WWE: Best of Raw & Smackdown 2015 Vol. 1, WWE: Best of Raw & Smackdown 2015 Vol. 2, and WWE: Best of Raw & Smackdown 2015 Vol. 3. WWE: Best of Raw & Smackdown 2015 Vol. 1 was released in 2016. WWE: Best of Raw & Smackdown 2015 Vol. 2 was also released in 2016. WWE: Best of Raw & Smackdown 2015 Vol. 3 was also released in 2016. Stephanie McMahon Instagram: WrestleMania week is always an emotional roller coaster for me. To think of what my parents built, mortgaging everything they owned to make #WrestleMania happen in front of nearly 20K people, to selling out MetLife Stadium last night. In a world that’s so divided, the WWE Universe showed up from all over the world, from over 60 countries and all 50 states to share their passion. I got the best email from a friend last night who thanked me for a full circle moment. He had attended #WrestleMania with his late father when he was a boy and last night, he brought his 8 year old son to his first WrestleMania. He said, “Wrestlemania is one of my top life moments with my dad and to get to experience that same feeling with my son is something I will never forget, nor will he.” To be a part of something that creates memories like that for even one person, is truly a privilege. And none of it happens without our fans. I am so grateful for each and every one of you. Thank you for being a part of @WWE and thank you for making us a better company every day. And now, on to Monday Night #RAW! stephaniemcmahon WrestleMania week is always an emotional roller coaster for me. To think of what my parents built, mortgaging everything they owned to make #WrestleMania happen in front of nearly 20K people, to selling out MetLife Stadium last night. In a world that’s so divided, the WWE Universe showed up from all over the world, from over 60 countries and all 50 states to share their passion. I got the best email from a friend last night who thanked me for a full circle moment. He had attended #WrestleMania with his late father when he was a boy and last night, he brought his 8 year old son to his first WrestleMania. He said, “Wrestlemania is one of my top life moments with my dad and to get to experience that same feeling with my son is something I will never forget, nor will he.” To be a part of something that creates memories like that for even one person, is truly a privilege. And none of it happens without our fans. I am so grateful for each and every one of you. Thank you for being a part of @WWE and thank you for making us a better company every day. And now, on to Monday Night #RAW! Stephanie McMahon Instagram: They may not have won, but they survived the Andre the Giant Battle Royal at #WrestleMania! @colinjost & @chethinks, you’re welcome back anytime! But next time I recommend avoiding Braun Strowman’s hands! stephaniemcmahon They may not have won, but they survived the Andre the Giant Battle Royal at #WrestleMania! @colinjost & @chethinks, you’re welcome back anytime! But next time I recommend avoiding Braun Strowman’s hands! Stephanie McMahon Instagram: I had so much fun surprising over 900 @maniaclubofficial members today at their #WrestleMania tailgate! They raised over $14K for Connors Cure today alone in the fight to end pediatric cancer. I’m at a total loss for words for their incredible support! stephaniemcmahon I had so much fun surprising over 900 @maniaclubofficial members today at their #WrestleMania tailgate! They raised over $14K for Connors Cure today alone in the fight to end pediatric cancer. I’m at a total loss for words for their incredible support!